Spring has sprung upon us for the year and I for one could not be happier. 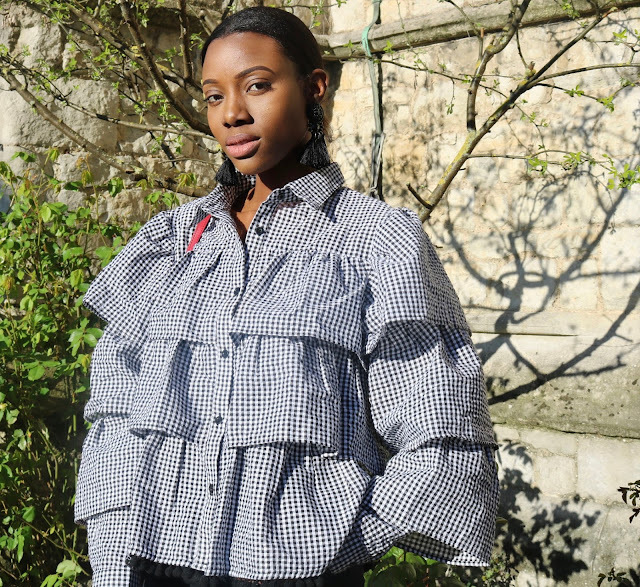 I am so ready to ditch the thick coats at home in favour of some lighter wear jackets or better yet just a long sleeve top like this Shein layered blouse. It's alway's a great feeling when I don't have to layer up to leave the house. 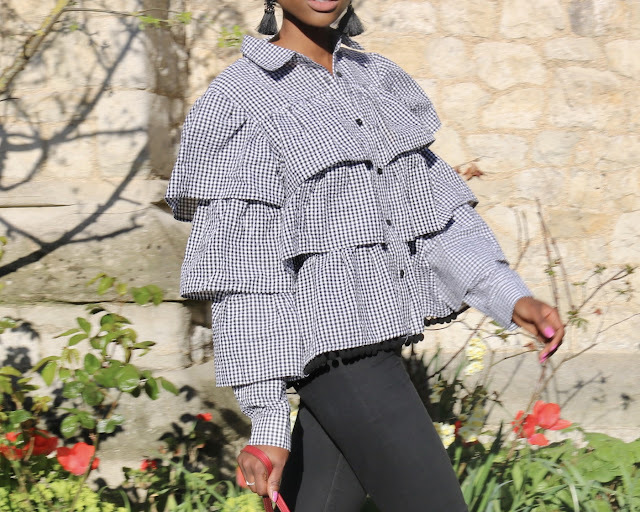 The Shein layered gingham blouse is great for the spring weather. The extra layers acts as a great insulation from the mild spring chills but it's still a light weight piece that will not cause you sweat profusely. 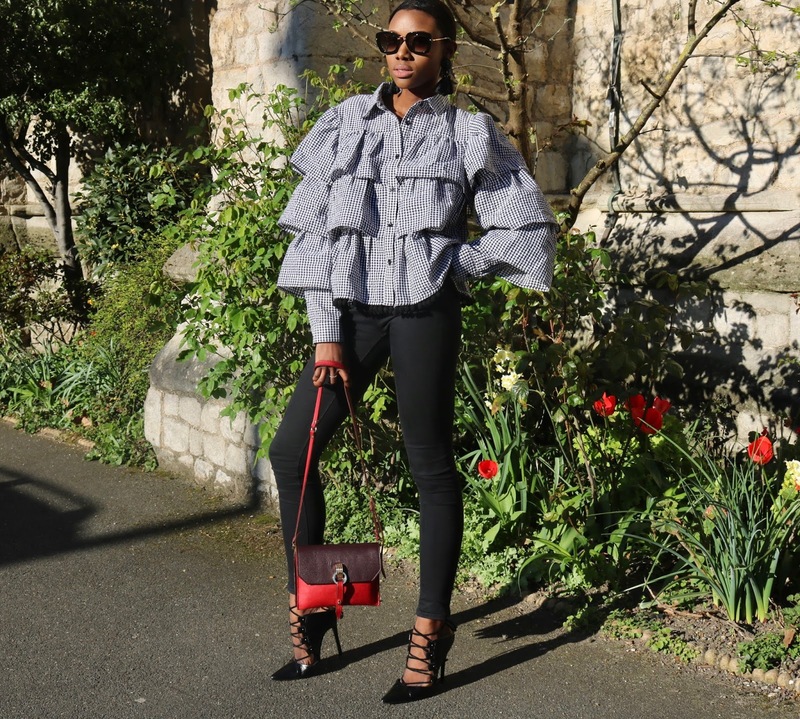 Given the rather large shape of the layered blouse I would recommend you pair it with a fitted piece like the pair of jeans featured in this post of even better a fitted skirt or shorts to enable the the shape of the blouse to stand out. 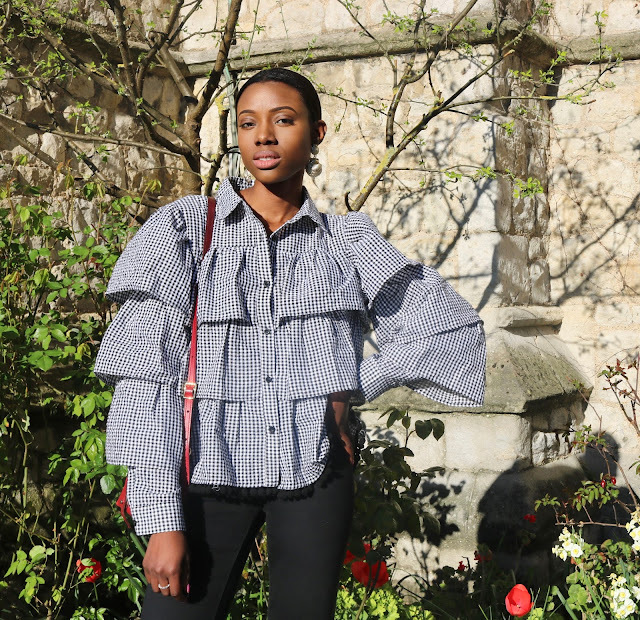 Stripes and Gingham are the two main prints making the rounds on the trend boards for summer 2017 and I happen to love both prints. 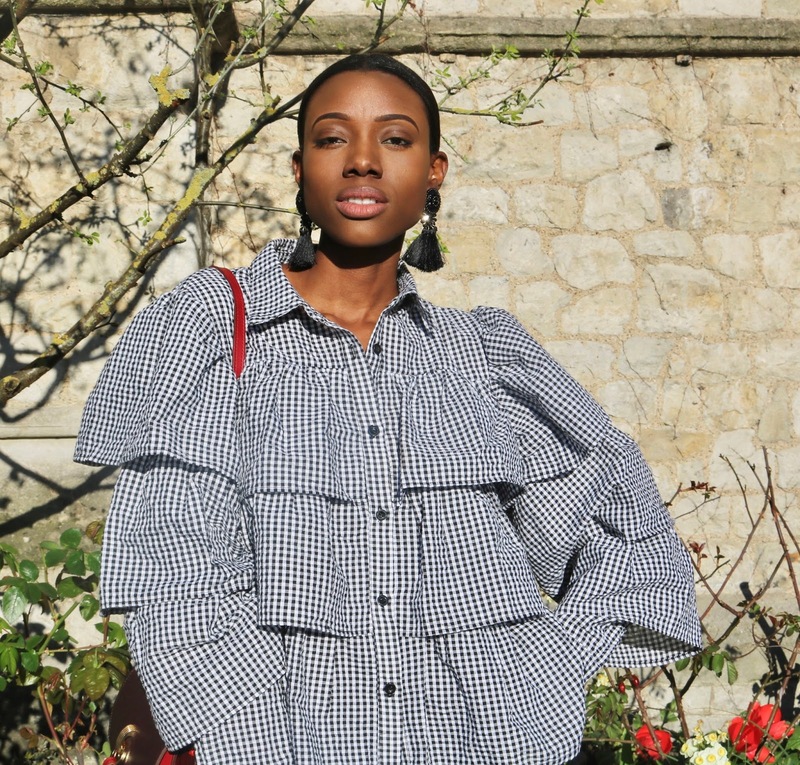 Off late if I am not opting for a strippy top then chances are that I am reaching out for a gingham print. Low and behold I also happen to find myself gravitating towards these prints in the shops so rest assured my collection of gingham styles and stripy tops I have to share with you on the blog is forever growing.